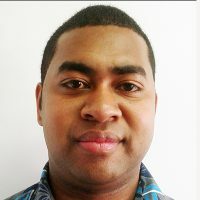 People living in the Yasawa and Mamanuca Group and the western half of Vanua Levu can expect to feel strong gale force winds. 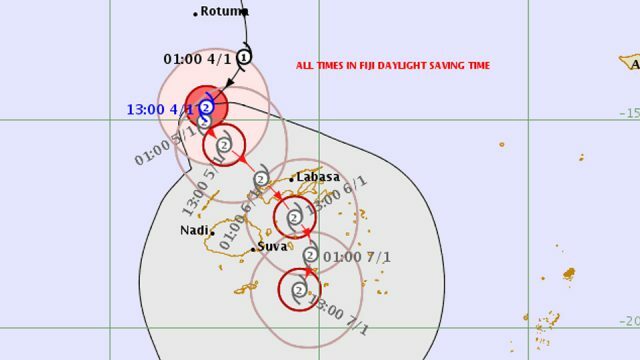 Senior Forecaster, Amit Singh says for the rest of Fiji they will start feeling the effects of TC Mona from tomorrow night into Sunday. Singh says close to the centre, the average wind is estimated to be about 95km/hr with momentary gusts to 130km/hr. Singh says Tropical Cyclone Mona is still a category two system but has slowed down. Meanwhile, a gale warning remains in force for Yasawa and Mamanuca group and is now in force for Western half of Vanua Levu . A strong wind warning remains in force for all land areas and waters of Fiji. 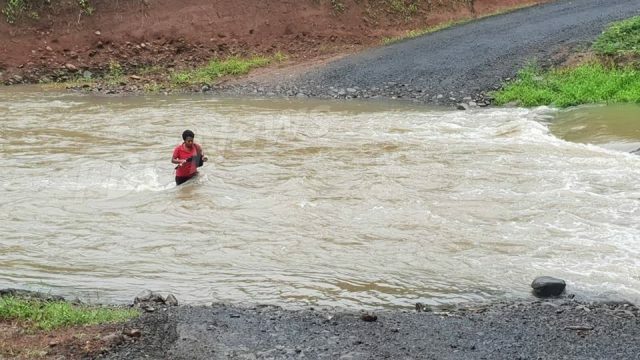 A heavy rain warning remains in force for whole of Fiji. A flood warning remains in force for all low lying areas, small streams and areas adjacent to major rivers of Vanua Levu. Tropical cyclone Mona was located about 220 km north-northwest of Yasawa-i-rara or about 310km northwest of Labasa at 3pm. 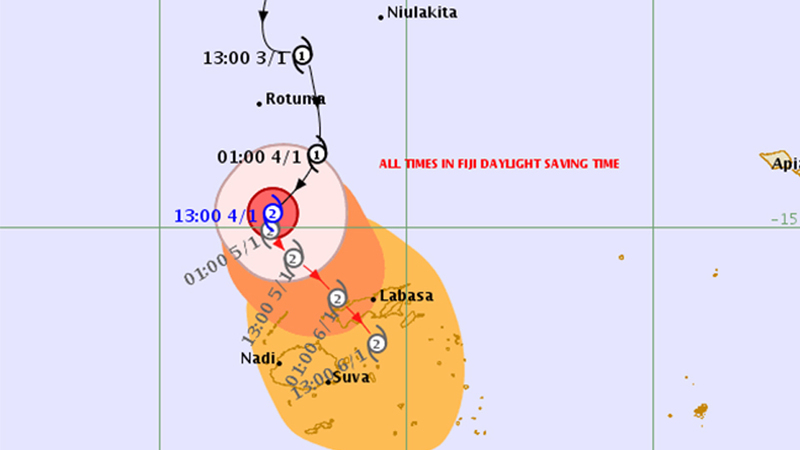 TCMona is moving south-southwest at about 15km/hr. The cyclone is expected to move towards the south-southwest till this evening, turn and move east-southeast towards the Fiji group from tonight. On the forecast track , the centre is expected to be located about 110 km north-northeast of Yasawa-i-rara or about 290km north of Nadi at 3am tomorrow and about 130km north of Yasawa-i-rara or about 180 km west-northwest of Labasa at 3pm tomorrow. The damaging winds are likely to begin several hours before the cyclone centre passes overhead or nearby.